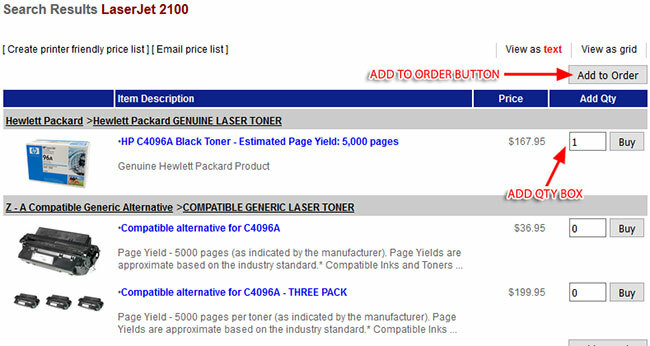 Selecting your printer brand and then your printer model. You may want to browse categories located beneath the drop down menu. Alternatively you may want to use the 'Search' toolbar to the right of the homepage or browse one of the categories below the toolbar. 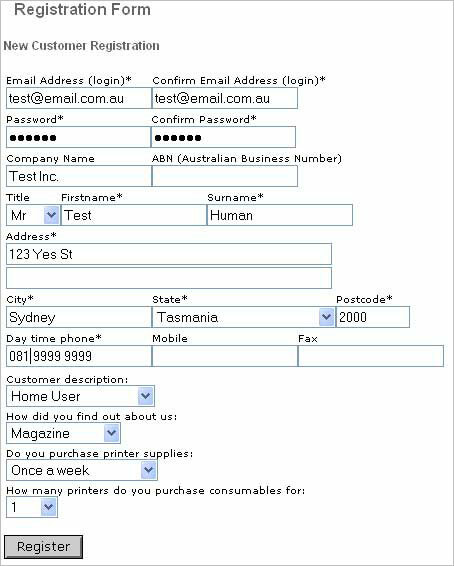 You can simply type in your printer model or any other stationery / general item you require. Try and use only keywords and avoid using plurals. 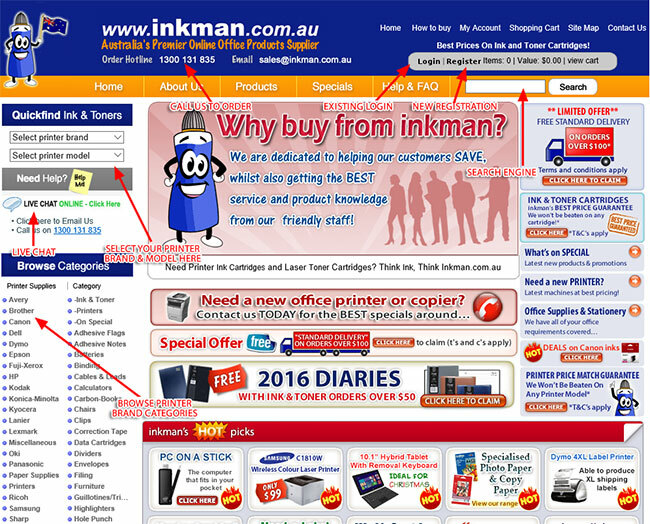 Below is an example of a customer who requires ink and stationery. 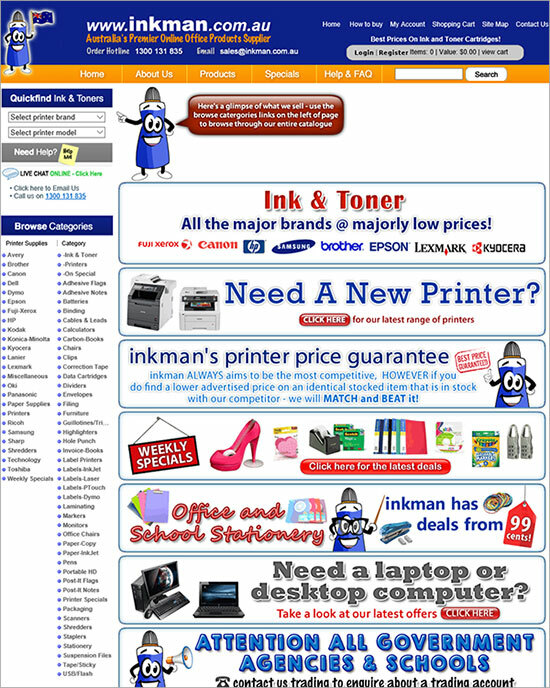 They went to the quickfind ink and toners menu followed by using the search toolbar to find their desired stationery item. Furthermore, you can search for your printer model by typing it into the search engine. Your printer should appear under the subtitle 'Printer Matches' as shown below. 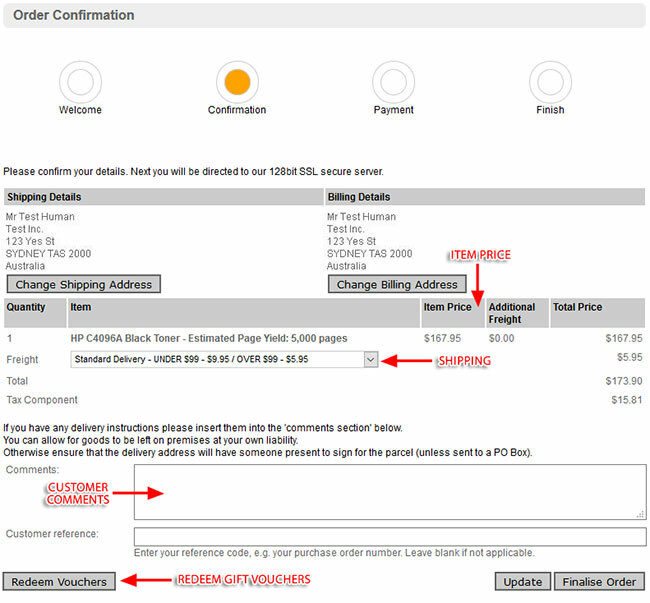 To add items to your basket, simply type in the desired amount under 'Add Qty' followed by clicking 'Add To Order'. We encourage you to browse through the results and click on the product title/image for a larger view of the item. Often, additional information regarding the product will be available. The basket below contains both items as per examples above. You can change the quantity by typing in the desired amount under 'Quantity' followed by clicking on 'Update Quantity'. 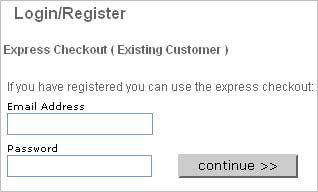 If you wish to checkout at this point you may proceed with clicking on 'Checkout'. If you are a new customer you will need to fill out the registration form. This will only take about 1 minute. Please note fields marked with * are compulsory. Once the order is confirmed a page will appear with the breakdown of total items, costs, shipping information & redemption of gift vouchers. If you need to put in additional comments for delivery please do so under the 'Customer Comments' section. Options for payment will appear. We accept credit cards (online, fax or phone), money order or direct deposit. For credit card payments: We accept Visa, MasterCard & American Express. 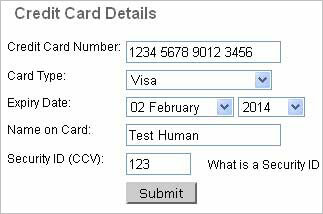 Please fill in the details shown and click on 'Submit'. 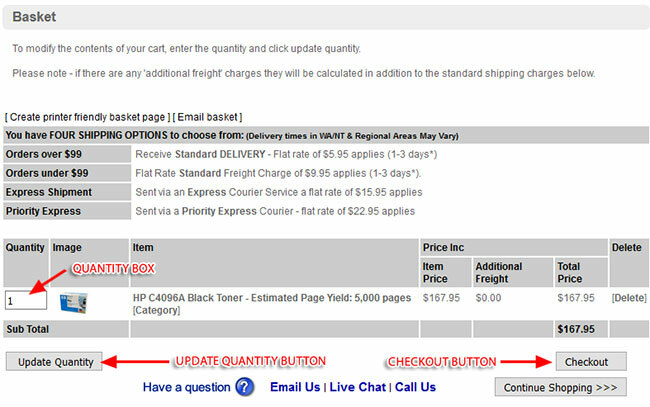 Order confirmation will appear with an order number. Please note that this confirmation will be emailed to you. 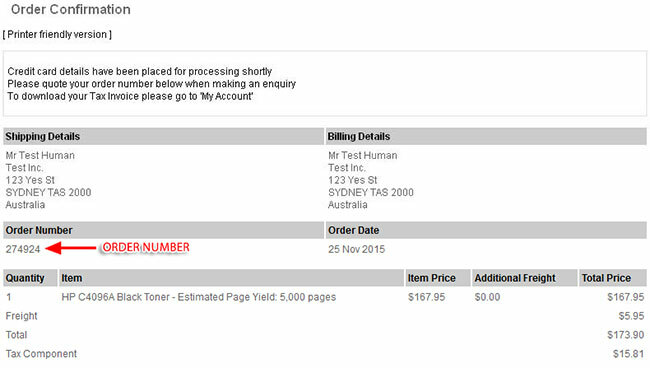 As a double-checking mechanism, please print this page or write down your order number. You will be prompted to enter in your login (email address) and password. If you cannot recall your password click on the 'Forgot Password' link to retreive. 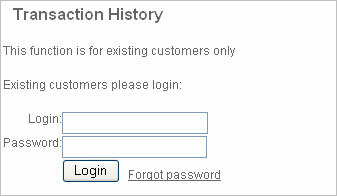 Once you login, a transaction history of your orders will appear. 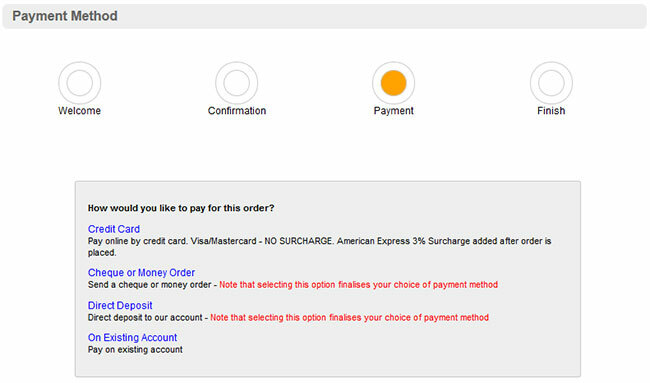 The order status of each order will also be shown.